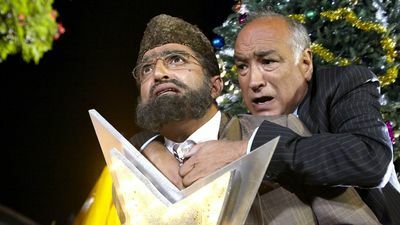 Here's where to watch every episode of Citizen Khan season 3. Mouseover or tap an episode to see where to stream it. Click or tap the play icon to stream it on the best available service. Naani's Return Oct 31, 2014 Mr Khan is over-the-moon when he learns that his mother-in-law wants to move into a home. The In-Laws Nov 7, 2014 With Shazia and Amjad's wedding fast approaching, the Khans invite the Maliks to dinner. 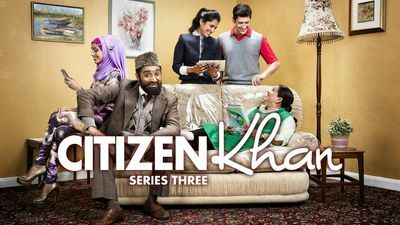 Aunty Noor Nov 21, 2014 Mrs Khan takes on more shifts at the supermarket, leaving Mr Khan in charge of the house. Farmer Khan Nov 28, 2014 Mr Khan discovers that Prince Charles might be dropping in to the city farm. Stags and Hens Dec 5, 2014 Mr Khan reluctantly agrees to organise Amjad's stag, while Shazia goes on her hen do. The Wedding Dec 12, 2014 Shazia and Amjad's wedding day has arrived, but all is not well in the Khan household. A Khan Family Christmas Dec 19, 2014 A frantic chain of events is set in motion as the Khans prepare for Christmas.